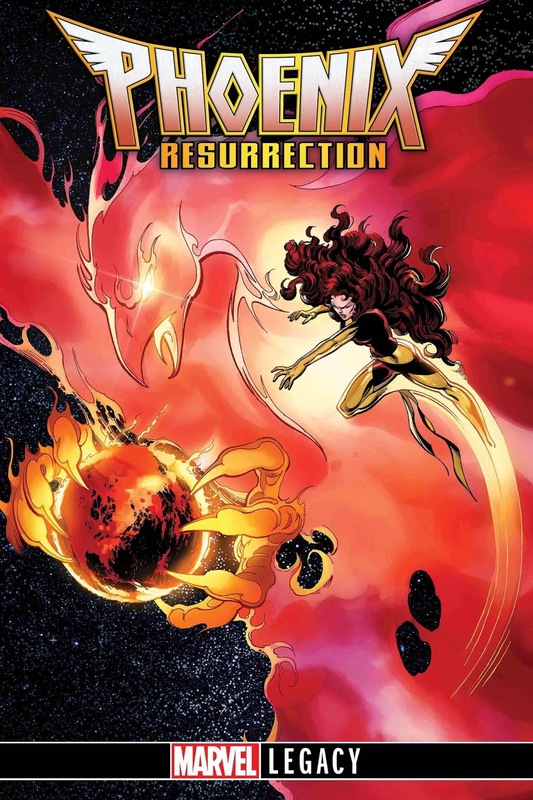 Marvel has announced the official return of adult Jean Grey in PHOENIX RESURRECTION #1, with a story by newly exclusive writer Matthew Rosenberg (Secret Warriors, Punisher) and art by superstar artist Leinil Yu (Secret Empire). 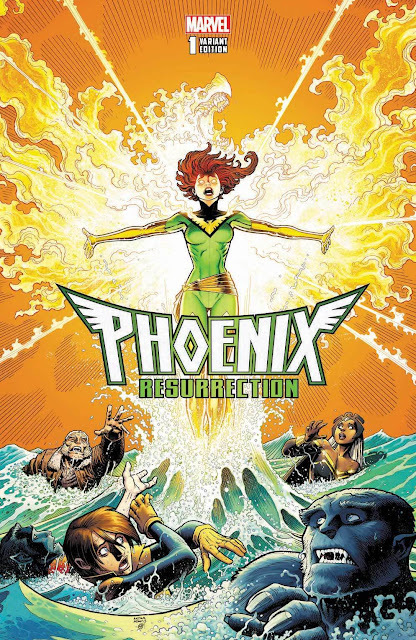 As a true celebration of the character’s power and iconic status, the five-issue epic will also include five blockbuster artists taking on Jean Grey throughout the run, as well as Phoenix Variant covers that will begin in December. No details were given yet who will draw the remaining issues. Back in 2003’s New X-Men #150 by Grant Morrison, Jean died at the hands of Magneto (who was later retconned to be an impostor) and has remained dead ever since. 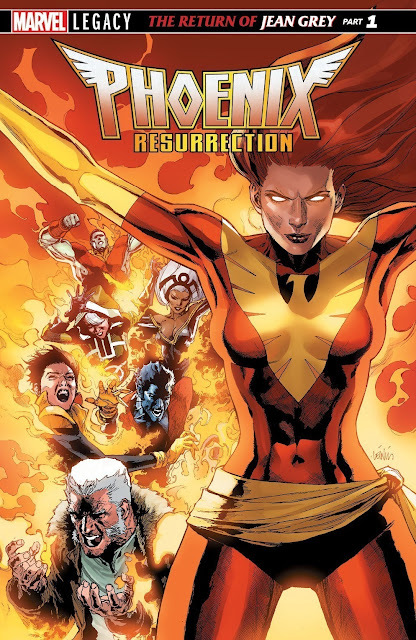 The Phoenix Force though was a key plot device in Avengers vs. X-Men, which saw it being extinguished by Scarlet Witch and Hope to trigger new mutant births. A younger time-displaced Jean Grey has been running around in the Marvel Universe since 2003's All-New X-Men. Strange events are no surprise to the X-Men, but when events start occurring that are more specific and strange than usual, the group is forced to confront the truth: could Jean be alive after all? 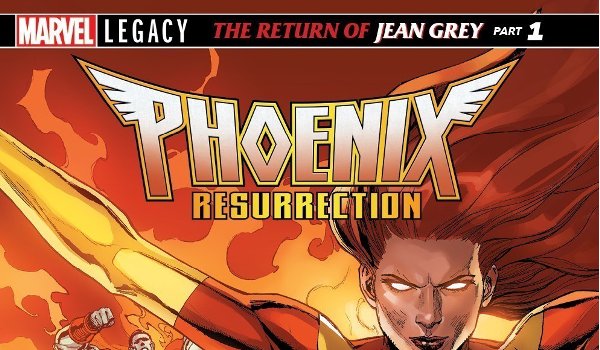 And how will this Jean Grey deal with a world that is now so different from the one she left years ago? Fulfilling the promise of an exciting return in MARVEL LEGACY, don’t miss Jean Grey’s newest adventure – PHOENIX RESURRECTION hits comic shops December 27th! And be sure to head to your local comic shop to pick up December’s True Believers Phoenix comics!